Acne can be a very disturbing feature and could leave you disappointed; especially if you are planning to go out with friends or for a function. These can be unpredictable and pretty annoying, but the truth is that it is one of the most common skin conditions in adolescents across the globe. 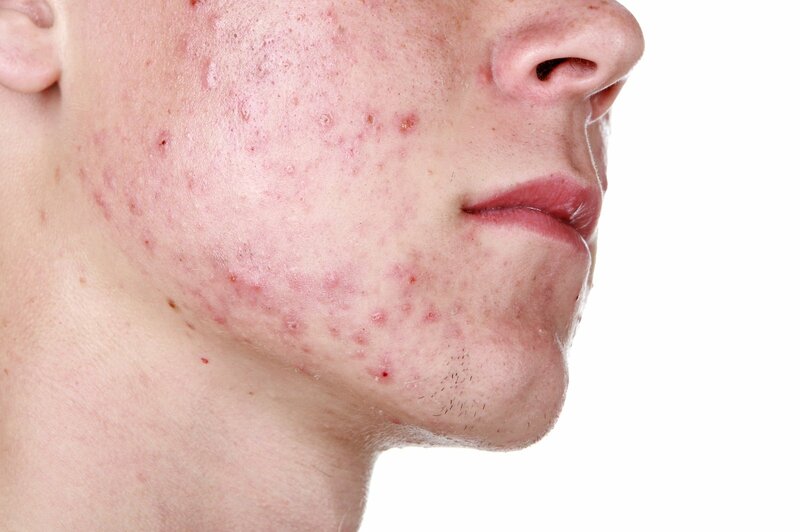 Acne is caused due to excess production of oil from the sebaceous glands leading to the blockage of hair follicles. Ayurveda has many several natural and safe approaches that may help control acne. In Ayurveda, acne is is believed to be a manifestation of an aggravated Pitta dosha. In addition to your face, acne can affect shoulders and your back area, too. 1. Drink Amla juice everyday. Amla, or Indian gooseberry, contains 20 times as much vitamin-C as is present in orange juice. Vitamin-C is a natural antioxidant, which means that it protects you against the harmful effects of free radicals and prevents formation of acne. 2. A powdered mixture of coriander seeds, fennel, basil, turmeric, and amla in equal parts is also considered to be effective in killing inflammation beneath the skin. Take half teaspoon of this powder 15 minutes before lunch and dinner, and wash it down with hot water. 3. A herbal mixture of kutki, guduchi and shatavari can also do wonders. 4. Applying melon on your skin may also help as its cooling anti-pitta quality will help heal acne. 5. Drinking cumin coriander-fennel tea is an effective way to keep the body cool and heat producing toxins at bay. These simple home remedies can help treat acne naturally, without having to resort to any creams or lotions, which can cause harm in the long run. Leading Ayurvedic Hospitals in Kerala have skin therapy experts who can help take care of your skin and give it a glowing touch, in the most Ayurvedic and Natural way.